Under a partnership with Defence, 100 students will be given a career boost through a new internship program. 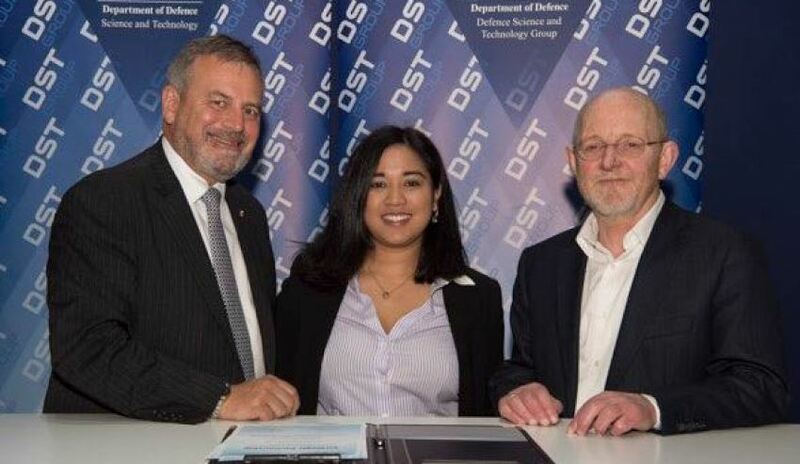 Students from the Australian Mathematical Sciences Institute (AMSI) will undertake Defence internships after Minister for Defence Industry Christopher Pyne, AMSI director Professor Geoff Prince and Chief Defence Scientist Dr Alex Zelinsky co-signed an agreement with Defence Science and Technology Group (DST Group) at the Pacific 2017 International Maritime Exposition in Sydney. From late 2017, AMSI Intern will place some of the nation’s brightest science, technology, engineering and maths PhD students in real-world three to six-month research projects with DST Group. "AMSI welcomes this partnership as a signal of the Australian government’s commitment to fostering essential research-industry collaboration to secure future defence innovation capability," said Professor Prince. “This partnership will equip some of our brightest minds with critical industry skills, vital as we seek to secure Australia’s future STEM research workforce." AMSI’s internship program equips postgraduates to pursue industry career pathways while working with universities and all-industry sectors to increase awareness of the value-add of strengthened high-level research engagement. The program also receives Department of Education and Training support through the 'Supporting more women in STEM careers: Australian Mathematical Sciences Institute (AMSI) – National Research Internship Program'. More information about the AMSI intern program is available here.